What happens when a winemaking hobby becomes too big? If you’re David Butkovich, you open a winery and follow your dream of producing wines. Located on 20 acres in Mattawan, Michigan, Cody Kresta Vineyard and Winery opened their doors in 2010. But the dream of winemaking started before then. A third-generation grape grower, David planted his first vines after purchasing the property in 1980. 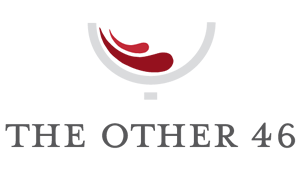 Focused on quality, the winery produces small lots of vinifera and hybrid wines from grapes grown in the Lake Michigan Shore Appellation and their estate vineyard. 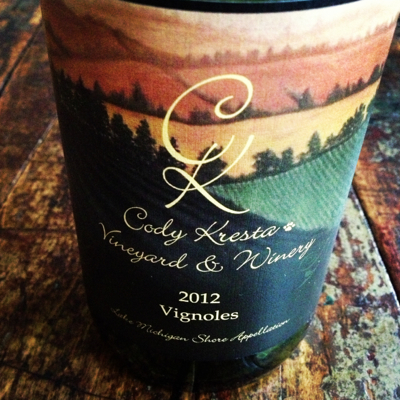 A recent pour, the Cody Kresta Vineyard & Winery 2012 Vignoles is proving the versatile variety has a home in Michigan. Clean, floral notes and especially grapefruit greet the nose. Secondary aromas of melon, peach and mango also make an appearance. Complex flavors of nectarine, jasmine, and a crisp minerality that I had not previously experienced in this variety. Medium-bodied, off-dry and plenty of acidity. A very good wine from a winery with a bright future.